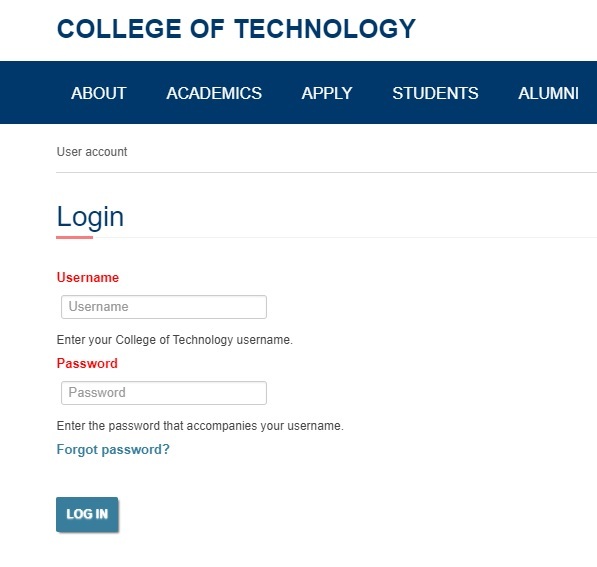 To log into College of Technology Website, go to www.indstate.edu/technology/user and enter your user name and password which you used during your time of Account creation/Training. Once you are logged in, you will notice a black bar at the top of your browser. This is the administrative menu. The options that will be available to you will depend upon your user role within your site. You have successfully logged in! The next step is to go to your site. If you do not see this menu, then you are not logged into the system. How to Edit the existing page?